The purpose of the Association is to encourage good government, to improve living conditions in the Swansea Area, and to promote and express the interests of the area residents generally. 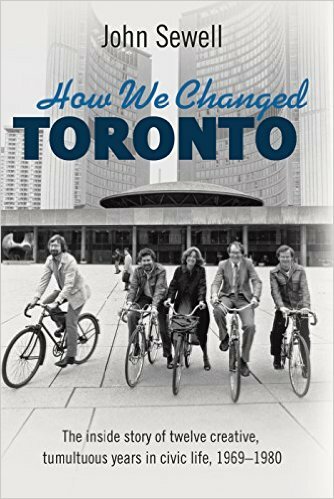 Formally founded in 1929, SARA is one of the oldest neighbourhood residents' groups in the City of Toronto. SARA is a non-political group open to everyone in the Swansea Community. We are a strong recognized community voice in municipal and provinicial politics. 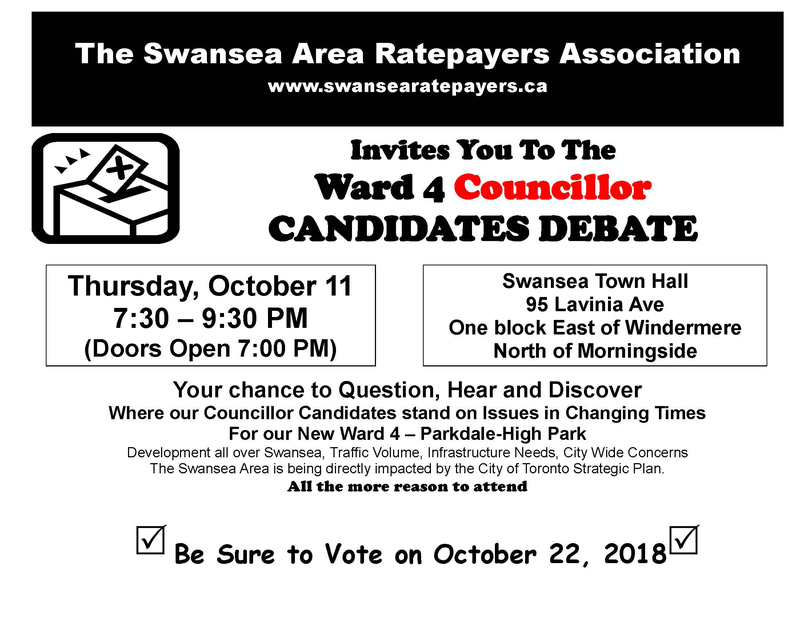 SARA members with their diverse backgrounds provide the skills needed to effectively represent the concerns of the Swansea Community. 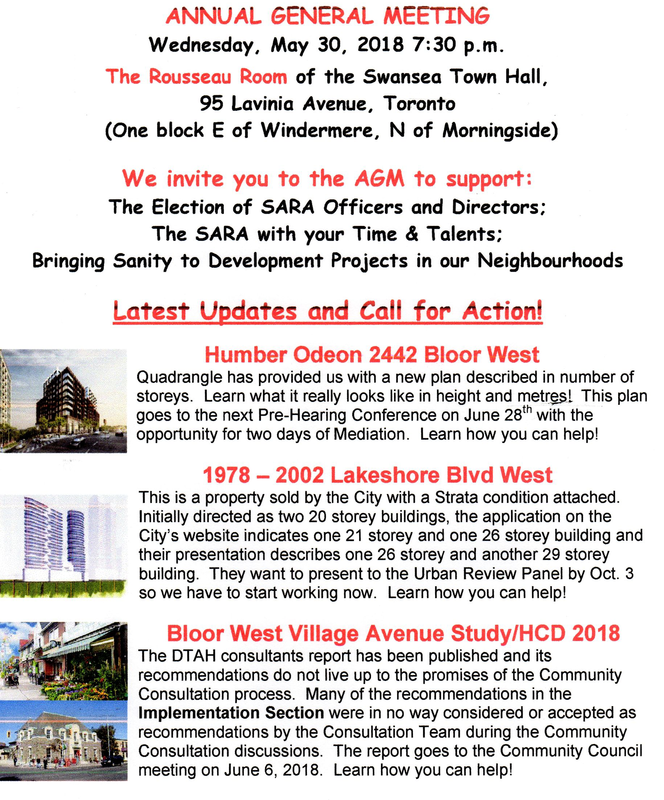 SARA is a member of the Confederation of Resident and Ratepayer Associations in Toronto (CORRA). We are managed by a Board of Directors who volunteer their time. We welcome new members. 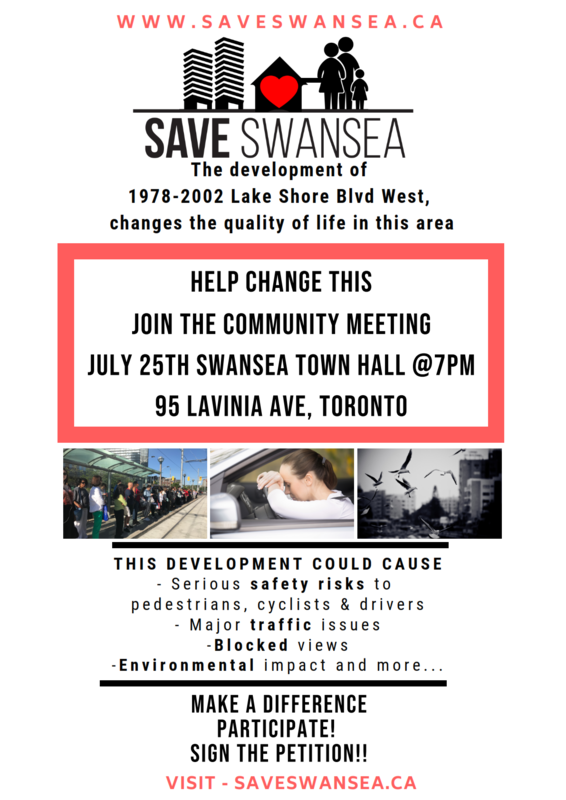 Join us as we work to preserve and enhance those features which have made Swansea a unique community in Toronto. Members receive all issues of the Association's newsletter, the "Swansea Outlook". 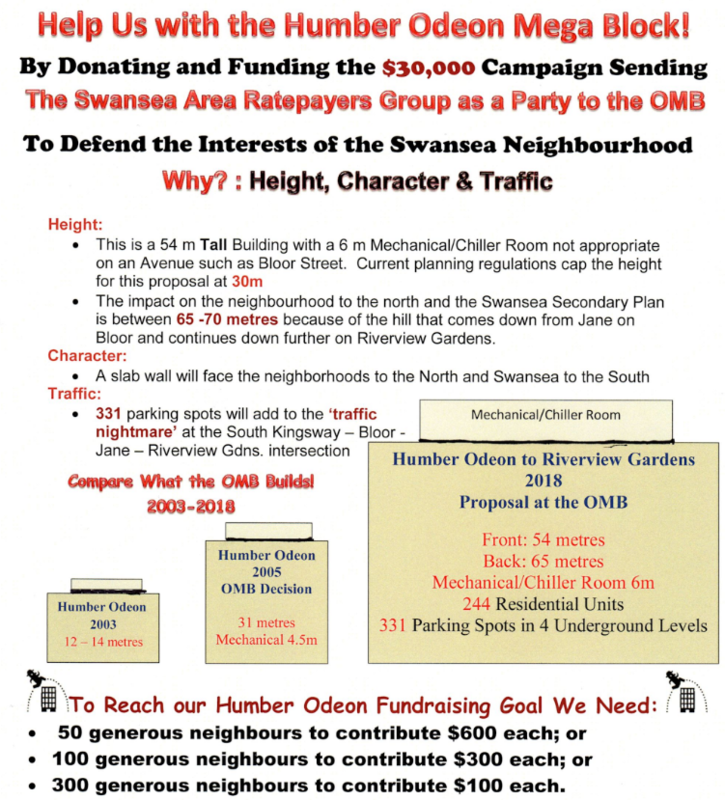 Donate to Humber Odeon campaign with Fundraising link on right. Thank you! Thursday, June 15, 2017 7:30 p.m.
Ms. Gray comes to Toronto from Seattle with 17 years’ experience in public service & for the past two years there as deputy director of the department of transportation. development direction in Toronto 2016. Thursday, September 17, 2015, 7:00 – 9:30 p.m.
(One block east of Windermere, north of Morningside). 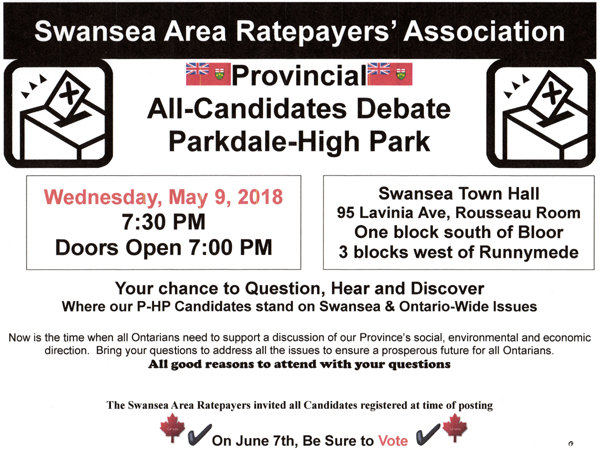 The doors will open at 7:00 p.m. and the debate will begin at 7:30 p.m.
Our P-HP Candidates stands on Swansea & Canada-Wide Issues. Now is the time when all Canadians need to support a discussion of our country’s social, environmental and economic direction. Bring your questions to address all the issues to ensure a prosperous future for all Canadians.